First is a translation of an important article from Israeli daily, Yediot Aharanot. Secondly is an article by the editor of Electronic Intifada, Ali Abunimah, who is one of the 1,300 Gaza Freedom Marchers presently surrounded and harassed by the security forces of the Egyptian regime. We can see here quite clearly the co-ordination between the Egyptian regime and the United States. In fact the reality is that it is the United States which is giving the orders to the second largest recipient of US aid. In many ways, United State’s control in Egypt is as great if not greater than anything the British Empire achieved in the days when Egypt had not yet attained full ‘independence’. The third article is by UN Special Rappoteur, Richard Falk, to the Occupied Territories which explicitly state that the only way to end Israel’s starvation siege on Gaza is by imposing sanctions on Israel. 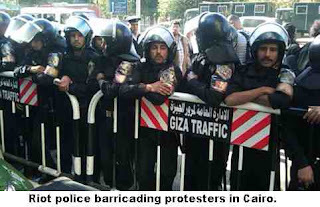 The fourth article and 3 of the above pictures are by Pam Rasmussen in Electronic Intifada which describes the reaction of the Egyptian police state to the marchers. There are many commemorations of the Gaza War (Operation Cast Lead) taking place at the moment in Gaza and its neighbours. The common theme to all is a call to end the siege on that small piece on land. Combatants for Peace (A group of Israeli Palestinians former fighters who have given up the use of arms) held such an commemorative evening on Saturday night 26 December. Nura Resh, who was there. reports that the Jewish-Arab Theatre in Jaffa was full, but that audience was composed of those who usually attend such events. 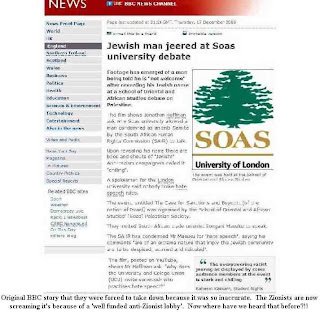 Dr Resh, who was sent the Hebrew original article, tells us that the article below is in fact the text of Michael Sfard speech. Sfard is the legal adviser of Yesh Din, one of the most important Israeli human rights organizations. The Ynet article did not mention the Combatants for Peace meeting. Nor did Ynetnews see fit to translate the article into English – it was apparently deemed to be suitable for Hebrew readers only. Many thanks to Steve Brook for his subediting assistance. A year has passed, just a year, but we can already tell that this one was different. This was not another “Rainbow”, “Summer Rain” or “Days of Penitence” – the Israeli Defence Force’s operations in recent years in Gaza. Perhaps the officer in charge of the code names has been replaced, or maybe we ran out of pastoral names. But at any rate, our last ferocious attack on Gaza was given a label that carried a violent connotation: “Cast Lead”. In retrospect, that operation marks a crucial turning point in the Israeli society’s value system. We did not set up temporary refugee camps for civilians. We did not arrange for a humanitarian evacuation corridor. We did not spare the hospitals, the food storage warehouses or even the UN welfare organisations. We did not express any sham regret. We did not claim that these were tragic mistakes and we even avoided taking the wounded children to hospitals in Israel. The outcome is frightening: about 1400 killed, more than half of whom did not take part in the fighting and among whom there were 320 children and 120 women (B’Tselem figures) In three weeks we killed more Palestinians than in the whole of the first Intifada and all the violent incidents in the Occupied Territories till the beginning of the second Intifada combined, that is from 1987 to 2000. The firing of white phosphorus, which keeps on burning for days after it is discharged, on alleys where kids are playing? We have cast-iron stomachs; we can digest any poison easily. Our hearts are made of cold steel. We don’t take pity on anyone. The new freedom to act was also applied against Israeli oppositional voices. In an unprecedented move, the Israeli Police arrested hundreds of demonstrators against the war. The IDF spokesperson, an officer in uniform, orchestrated a campaign of vilification and delegitimisation against organisations that dared criticise the military’s activities. The Foreign Minster laboured to dry up such organisations’ sources of finance. Moral decay devoured everyone: the commanders who ordered, the fighters who carried out the orders, the lawyers who certified it legal, the academics who kept mum and the press that fanned the flames of war and was so devoted to the IDF spokesperson that it became a unit in a brigade under his command. These processes have a price. They lead to a loss of faith in Israeli society’s ability to find strength within itself to return to the values upon which it was created. They generate external pressure, international investigations, prosecutions abroad, boycotts and sanctions. All these now have a legal moral basis upon which to blossom. And we, who are so addicted the freedom of having a light finger on the trigger, do not even consider quitting the habit. Over the past few days, I have been in Cairo with more than 1,300 people from 43 countries, as part of the Gaza Freedom March. Part of the reason I personally decided to go Gaza is to meet some of the individuals in Gaza who have written for The Electronic Intifada (EI), and to see and hear for myself how people there continue to struggle and survive in the wake of last year's Israeli attack amid a tight blockade calculated to make recovery, reconstruction and civilized life impossible. In face of the Egyptian government's efforts to prevent us from reaching Gaza, marchers have been staging peaceful actions to highlight the devastating effects of the ongoing blockade of Gaza and to demand the border be opened. This experience has brought home to me the importance of the work The Electronic Intifada team does to break the information siege every day, by ensuring that the voices and stories of Palestinians in Gaza and throughout Palestine are not silenced, and that the incisive, prescient and independent analysis you can't get anywhere else continues on EI. While I have been in Cairo, my EI team colleagues have continued their work, as they do every day, to bring a first class publication to thousands of people around the world. Your support is critically important to this effort. If you have not already done so, please consider making a donation to EI before the close of the year so that we can remain strong in 2010. Richard Falk, the Special Rapporteur on the situation of human rights in the Palestinian territories occupied since 1967, told UN Radio. he said, referring to the diplomatic Quartet of the UN, EU, Russia and US, which have been calling for a two-state solution to the Middle East conflict. The UN Relief and Works Agency for Palestinian Refugees (UNRWA), the main UN body tending to the needs of some 4 million Palestinian refugees, said today Gaza had been “bombed back, not to the Stone Age, but to the mud age,” because UNRWA was reduced to building houses out of mud after the 22-day offensive Israel said it launched to end rocket attacks against it. “The Israeli blockade has meant that almost no reconstruction materials have been allowed to move into Gaza even though 60,000 homes were either damaged or completely destroyed. So we in UNRWA have been saying ‘let's lift this senseless blockage,’” UNRWA spokesman Chris Gunness told UN Radio. In a statement last week, Mr. Falk stressed that the “unlawful blockade” was in its third year, with insufficient food and medicine reaching Gazans, producing further deterioration of the mental and physical health of the entire civilian population. Building materials necessary to repair the damage could not enter Gaza, and he blamed the blockade for continued breakdowns of the electricity and sanitation systems due to the Israeli refusal to let spare parts needed for repair get through the crossings. Mr. Falk also deplored the wall being built on the borders between Gaza and Egypt. As a Special Rapporteur, Mr. Falk serves in an independent and unpaid capacity and reports to the Geneva-based UN Human Rights Council. with promoting the integration of developing countries into the world economy, reported that more than 80 per cent of Gaza’s population are now impoverished; 43 per cent unemployed; and 75 per cent lack food security. This time is clearly different. I have traveled to Gaza twice this year, in groups ranging from 40 to 60 persons, and although there was a lot of behind-the-scenes work involved in "greasing the wheels" with the Egyptian authorities, we pretty much sailed in. CODEPINK (the group that organized both of my previous trips) developed a well-earned reputation for being able to pull just the right levers to open the doors to the isolated enclave of Gaza -- even more so than George Galloway's Viva Palestina convoy, which is typically allowed in for only 24 to 48 hours (versus our four days). But too many months have gone by with no change in the crippling isolation of Gaza imposed by Israel and Egypt, and it was time to risk our privileged access to take our efforts to break the siege up a notch. Our numbers had to be massive enough to threaten the jailers' growing complacence and broad enough to send the message that this is a global movement that won't stop until the Palestinian people are given the freedom and justice they deserve. Thus, this time CODEPINK allied with a number of other organizations around the world, and the number of participants quickly ballooned to more than 1,300 from 43 countries. Likewise, while we have collected or purchased thousands of dollars' worth of school supplies, winter clothing and electronic devices (such as computers -- currently only available via the tunnels and thus too expensive for the average Palestinian in Gaza), our message is also unapologetically political: the borders must be opened, to everyone, all the time. NOW. We have obviously accomplished our objective. The jailers have taken notice and are running scared. So scared that we not only have been denied entry into Gaza, we have been threatened with arrest and deportation if we so much as carry a sign or gather in groups of more than six. Our reservation with a facility in downtown Cairo for an orientation meeting for delegates was canceled at the government's order, and requests to hold educational workshops instead were refused. In an even more audacious move that was aided and abetted by participants' own governments, consulate representatives were called to a meeting and apparently instructed to warn their residents not to come. In Spain, that warning was echoed in a news release. In Canada, individuals registered for the march or who had participated in past delegations received emails from their embassies. In Portugal, one marcher was called on his personal cell phone! As word spread of Egypt's refusal to open Gaza's doors -- announcing its decision long after thousands of internationals had purchased expensive airline tickets and mere days before they began boarding their flights -- supporters around the world inundated Egypt's embassies with calls, emails and faxes in protest. Many came from legislators and other government officials, past and present. Egypt only backed further into its corner in response, using the aggressive tone of some of the calls and emails to ignore the overall theme: Â the injustice of the collective punishment imposed on Gaza's nearly 1.5 million Palestinians and Egypt's refusal to allow supporters to help. As I write this, we are still being refused entry to Gaza, and even permission to travel to al-Arish and Rafah on the border. Thirty-eight of our marchers tried to get to al-Arish on their own, but 30 were then put under house arrest in their hotel and eight were detained at the bus station. Every peaceful vigil or protest we staged was met with an "iron wall" -- and sometimes, by violence. 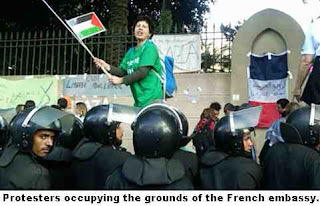 When the French contingent of about 450 persons asked for help from their embassy, and occupied the grounds of the building in protest when initial promises negotiated with the Egyptian government were reneged, they were surrounded by heavily-armed and helmeted riot police and refused permission to leave -- even for food or to use a toilet. At the time of this writing, their "occupation" is going on 48 hours now. Similar "sit-ins" have been or are being waged at the US, UK and Italian embassies (with more to come). At the US embassy, 30 Americans were detained within a circle of police for eight hours (at the direction of their own countrymen, by the way) before being released. The only small victory was an (ultimately frustrating and fruitless) meeting for three of the protesters with one of the embassy's higher-level officials. The same treatment was received when vigils were staged at the United Nations, the journalists' syndicate (in support of about a dozen hunger-striking marchers) and the Kasr al-Nil Bridge over the Nile. However, there are a few, bright silver linings to this dark cloud. Groups on the left of the sociopolitical spectrum are known for being far less cooperative and cohesive than their conservative, reactionary counterparts. It truly gladdened my heart, therefore, to see the immediate mobilization in our support by groups ranging from the War Resisters League to Jewish Voice for Peace. Meanwhile, it's a truism that controversy attracts media coverage. Our missions to Gaza have been ignored by the mainstream media in the past, but this time, Egypt's defensive and angry response attracted the attention of such mainstream media pillars as the BBC, the Associated Press, Newsweek and The New York Times. I am a communications professional, and Egypt has violated a tenet of Public Relations 101: The more you protest, the guiltier you look. Pam Rasmussen is a peace activist and communications professional from Maryland who recently received a Community Human Rights Award for her work on behalf of Palestinians from the UN Association of the National Capitol Area. She can be contacted at peacenut57 A T yahoo D O T com. 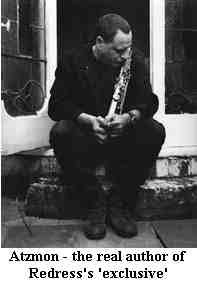 It's Gilad Atzmon Wots Done It! Apparently these whistleblowers have winged their way to Redress, a one-man operation with no visible base or address, to spill the beans on the ‘worst crisis in living memory as their [British Jews’] loyalty to the United Kingdom and support for basic universal principles of human rights and common decency come under growing scrutiny.' Note the dual loyalty charge - a favourite of Atzmon. Redress is an anti-Semitic site that portrays itself as pro-Palestinian. It primary agenda these days is providing a platform for Gilad Atzmon, the anti-Semitic ex-Israeli jazz musician. On googling Atzmon’s name there are 88 occurrences in the past 2 years on the site and he has written extensively before then too. That is why I persuaded UNISON to ban any links to the site from their international pages. 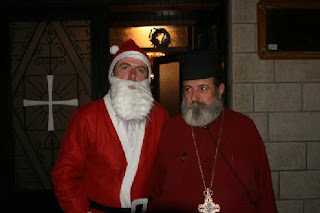 For example on 7 October Atzmon penned an article ‘Who is a Jew’ in which he defended the Iranian dictator Ahmedinajad. In the course of the article, he wrote that ‘Regardless of the truthfulness of the holocaust, it is a basic fact that the suffering of the Jews in Europe had nothing to do with the Palestinian people.’ This, of course, is a give away. The ‘basic fact’ of the Palestinian peoples’ oppression and dispossession has nothing to do with another fact - the Holocaust, other than that Zionists use the latter to justify the former. Only Atzmon and fellow holocaust deniers, such as his friend Michelle Renouf, would question the ‘truthfulness’ of the holocaust. So what is the truth about this ‘exclusive’? It is no secret that during the attack on Gaza, certain more liberally inclined members of the Jewish establishment – people like Colin Shindler and Rabbi Tony Bayfield, the Reform chief rabbi, were extremely unhappy about the Israeli State’s open bloodlust and its attacking civilians with phosphorous bombs. In this they reflected their own constituency, which made its feelings known by boycotting the Board of Deputies rallies in Trafalgar Square and Manchester. According to police estimates, and indeed just by looking, you can see that both rallies had, at most, 5,000 people attend them. Contrast this with the 25,000+ support for Israel’s previous attacks on the Lebanon. But is this a serious crisis or part of an ongoing tendency? There is no evidence to support the former. 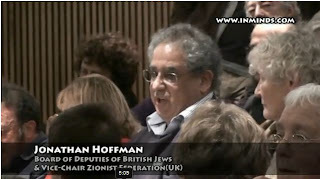 True that Zionist Federation activist Jonathan Hoffman has come under a lot of stick recently, but that is merely symptomatic. There has been no break-away as there was with the Masorti synagogue some 40 years ago. There is a declining community numbers wise, most young people aren’t interested in Zionism and Israel is no longer a ‘socialist ideal’ as it appeared to me and others when we were young. It is equally true that the Jewish Chronicle is going through yet another crisis, as epitomised in the appointment of its down-market editor from the Express, Stephen Pollard. Circulation is hovering around 30,000 in contrast to its heyday of around 100,000, but that too is a sign of the times, as well as a declining Jewish population and the plain fact that the paper is, well, totally boring and reads like a propaganda tract. But the real reason for Redress’s ire is an article ‘Anti-Israel attacks spread across web’ in the Jewish Chronicle that Mark Elf found in the course of researching his own article. It was a typical Jewish Chronicle article which was as fallacious and mistaken as everything the JC prints these days. It cites Redress as somehow the mainstay of an anti-Zionist campaign across the web. It then portrays Gilad Atzmon, its regular writer (having got kicked off Mary Rizzo’s ThinkPalestine blog) as an active and prominent anti-Zionist, whereas Atzmon is an anti-Semite and is involved in no Palestine solidarity work. He is increasingly marginalised as his long-time political partner, Mary Rizzo, has had enough of him and his ego, as have most others. In short the JC's is a nasty little article seeking to smear supporters of the Palestinians and opponents of Zionism with anti-Semitism, hence the fascination with Gilad Nobody. And of course there is the usual, obligatory quote from Mark Gardner of the Zionist Community Security Trust thugs, who only see anti-Semitism when they want to see it. Clearly Sabir took exception to all this publicity. It’s hard to understand why since the blog goes virtually unnoticed amongst all the genuinely popular and well –researched blogs like Mark’s Jewssanfrontieres and this one! The article was by the Jewish Chronicle’s new Political Editor Martin Bright, ex of the Observer. Bright it was who picked up on our story on Socialist Action’s takeover of Palestine Solidarity Campaign a few months ago. Bright is apparently the first non-Jewish journalist to occupy such a role. He is also well known for his contacts with Special Branch and MI5, in other words he relies on spooks and the secret state for some/much of his information. As such he is probably an excellent choice as Political Editor! So the question is who did write the article. And for this detective work, hats off to Mark Elf once again. The article on Redress’s web site is dated 26th December, i.e. Boxing Day. 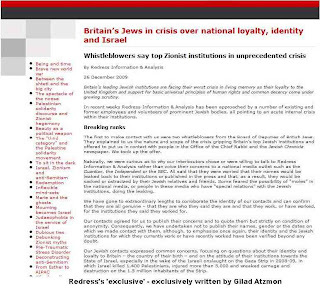 Now have a look at the same article on Gilad Atzmon’s web site and notice the date, Christmas Day, 25th December. After having stuffing himself with turkey and xmas pudding, Atzmon decided wouldn’t it be fun to run a spoof hoax. After all, if it was a genuine Redress exclusive, it is unlikely that Atzmon would run it on his own site first. Unfortunately it did take in quite a few people. Some whose minds were distracted by the events in Egypt perhaps didn’t look at it as closely as they should have done. After all, if there was a crisis as was suggested in the leadership of British Jewry then we would be likely to know about it first. And if there were indeed whistleblowers from the Board and other Anglo-Jewish institutions, and we all know that there are major difference between the very rich members of the Jewish establishment and the petty-bourgeois businessmen who run the Board, why on earth would they go to a one-man outfit Redress? It doesn’t take many brains to work out that it is an anti-Semitic Atzmon front. Why give your opponents in the Jewish community a stick to beat you with? If you were going to go anywhere it would be the Guardian or Independent or even The Times. It makes no sense. If I may declare a personal note. Redress is the dishonest little blog that a couple of years ago ran the ‘Petition in support of pro-Palestinian activists’ It was an attack on me for my criticisms of the anti-Semitism of ‘two outstanding personalities who are also great fighters for the implementation of freedom and liberty to all the subjugated peoples of the world, Gilad Atzmon… and Mary Rizzo…’ As is normally the case with these people, it refused to carry any right of reply. It is not unlike Atzmon to write a petition in support of himself! And now he’s writing his own exclusives too! It is no coincidence that at a time when most of us are doing our best to put pressure on the Egyptian regime not to do Israel’s dirty work, by sabotaging the Gaza Freedom March and Viva Palestina, Sabir is more concerned with his own petty vendettas against those who have slighted him. But it is clear that although Sabir has the motive, he is unlikely to have written an article that appeared a day previously on Atzmon's site. There was a time when Egypt was rightly considered a leader in the struggle for Arab independence from colonialism and its Zionist offshoot. Even today the name of Gamel Abdul Nasser reverberates in a way that thatthe name of that political pygmy, Mubarak, never will. I understand that when you are the second largest recipient of US military aid, after Israel itself, that it is hard to retain your independence. After all, he who pays the piper calls the tune. However your behaviour, in refusing to allow access to Gaza for an international convoy is shameful by any standards. That Israel doesn’t want the delivery of urgently needed medical supplies is understandable. That you are complicit in that is disgraceful by the standards of even the most servile and corrupt regime. Maybe an analogy might help clarify your mind. When the Nazis placed the Jews of Eastern Europe in ghettos, the first thing they did was appoint a Jewish Council (Judenrat) to help them achieve their objectives. Your behaviour in maintaining the blockade of Gaza is no different from that of the Judenrat, except that you have the power to make your own decisions, whereas they were powerless. 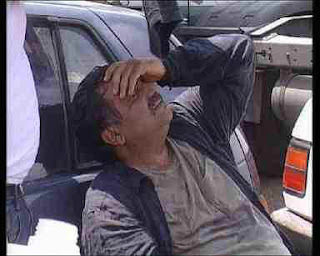 Your demand that the convoy sail around North Africa to El Arish is just a senseless playing of tricks. There is no good reason for it and it is clear that this is just a pretext. If you have any shred of decency or morality you will allow the convoy to pass and you will also refrain from allowing the United States army to build a metal wall on the Southern border of Gaza, thus doing Israel’s work once again. An important article in Al-Ahram of 15-21 October 2009. 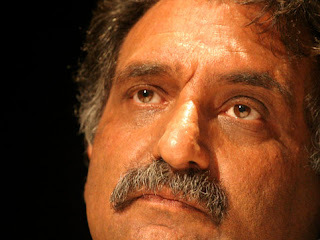 Azmi Bishara, who was a Member of Israel's Knesset (Parliament) until he was hounded into exile by the actions of Mossad, for holding talks with the Syrians and arguing that Israel could become a Jewish or Democratic State. 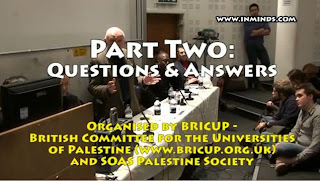 At a time when British Palestine Solidarity Campaign's 'Socialist' Action leadership is scared of whispering a word of criticism of Abbas and his corrupt cronies, Bishara makes it clear that Abbas and co. are living in a fools' world. The decision to behave in Geneva like the made-in- Oslo Palestinian Authority (PA) was but an extension of the Israeli occupation was the final nail in the coffin of international solidarity with the Palestinian cause in its customary sense. Those who took this decision knew this. International solidarity was confounded by the questions stirred by the Oslo Accords, a treaty struck with the occupation power before a solution was in sight. Was the liberation struggle still in progress as the occupation was still in place? Or did the Oslo process mean that matters now rested with the ability of "the two sides" to reach a settlement? Although the solidarity movement revived somewhat with the second Intifada, the Palestinian rift and the behaviour of the PA towards the war on Gaza threw it into confusion again. Even so, as fragmented and disarrayed as they were, all grassroots and semi-grassroots organisations and movements mustered what spirit they could to stand behind the Palestinians, as divided as they are, in the wake of the Israeli assault on Gaza. The Goldstone Report was the product of this drive. But now, after 2 October in Geneva, who is going to demonstrate solidarity with the Palestinians, how would they do so, and why should they? The Palestinian party that declared, in Geneva, that it would withdraw its support from the Goldstone Report behaved not as though the Palestinians needed as much support as they could get, but as though this were part of the international order. Grassroots solidarity embarrasses such officials. It doesn't mesh with their self-image. They are up there with those in the White House, and who needs popular solidarity once you're a guest of the US president? Also, that solidarity movement can be more of an enemy than a friend at times. That movement supports the people in Gaza, for example, whereas the Palestinian officials in question stand on the other side of the blockade, working to obstruct any efforts that might give an advantage to their Palestinian political adversaries. These officials bade farewell to the liberation movement some time ago. "So long, liberation movement," they said well before liberation was even a glimmer on the horizon. That was painfully obvious to those who had eyes and ears. However, their behaviour in Geneva came as the definitive and impossible to miss adieu to the spirit and logic of liberation and solidarity movements. The whole and essence of the Palestinian cause have been lost amidst the details of the political manoeuvres and the fine points of the settlement process that predominate the news. This is precisely the problem that responsible media committed to objectivity should overcome. The international arena in the Obama era has teemed with political actions aimed more at kick- starting the peace process than at reaching a just peace. Granted, we may well see a peace conference in three months' time, according to some Arab officials, that will bring back the "glories" of Camp David II, albeit without Arafat and with Netanyahu. But then we can trust in the latter to turn down the very proposals that Arafat rejected and even more, for he is a very patriotic Israeli. Nor should we expect the current administration in Washington to depart from the rules set by its predecessors for the so- called peace process. The Obama administration may be the product of the failure of the neoconservatives' policies, down to its having to abandon the export of democracy and to acknowledge the failure of the Iraqi expedition. However, the situation of the Arab states is such that they could not exploit this administration's weakness in foreign policy. Even if they were able, the governments of the "moderate axis" are not interested in entering a fray over Palestine; so happy are they at the arrival of an administration that has abandoned the rhetoric of spreading democracy and human rights. Apparently some Arab officials saw this as the opportunity to "pressure" Washington into backing down on its insistence that Israel freeze settlement expansion and focus instead on reviving negotiations for a lasting solution, ostensibly on the grounds that the settlement question would be resolved in this framework at any rate. But even in Iraq, where American foreign policy is the weakest, the official Arab order could not translate this weakness, which is the product of the achievements scored by the Arab resistance, into an Arab policy that would ensure that Arab interests and causes would be high on the agendas of negotiations between the US, Iran and Turkey. So, with regards to what Arab flights of "Oriental imagination" refer to as US pressures on Israel, Washington stuck to the old routine. The business of Mitchell's shuttle diplomacy can be summed up in three points: persuading the Arabs to undertake good will initiatives towards normalising relations with Israel; securing Arab assistance in the financing of the PA, which is funded primarily by Europe; ensuring that the Arabs are officially and solidly against those in power in Gaza. Through such moves, the Obama administration hopes to finish where Bush and Clinton left off in the attempt to convince Israel and the Arab world to translate the proposed Palestinian state into a complete "package deal". The "package" here is the establishment of a Palestinian state in exchange for the Arabs relinquishing the right of return for Palestinian refugees and demands that Israel withdraw from all the territories it occupied in June 1967, including East Jerusalem. For the Arabs, to conclude this deal would not only be to abandon the Palestinian cause as it is historically understood, but also the base line of the Arab peace initiative. Israel, for its part, has espoused this formula since Sharon. Since then, it has focussed its efforts on squeezing the proposed state into as small a patch of land as possible with as few rights of sovereignty as possible. Towards this end, it is taking advantage of the relinquishment on the part of the PA and the official Arab order of all instruments of conflict management apart from its format for negotiations in order to impose a "de facto peace" on the ground (where the standards and conditions of living of the people, including roadblocks and the like, become the foremost considerations), and it is exploiting the concept of the two-state solution in order to press for the Arab recognition of the Jewishness of Israel, which would implicitly entail the relinquishment of the right to return, a retroactive recognition of Zionism, and a retroactive recognition that Israel has been historically and morally right and that the Arabs been historically and morally wrong. In the meantime, the new US administration has struck the tune of demanding a halt to Israeli settlements. The Arabs, including the Palestinians, echoed the refrain. It would be useful here to recall that in the history of settlement construction, the seasons in which construction was most prolific were the seasons when a settlement freeze was proclaimed. Anyone familiar with Israel and the way it works knows that planning and construction is a central activity of the state, which was founded on planning and construction. It plans for more than 20 years in advance. Any freeze that exempts construction projects for which the plans had been drawn up before the freeze permits construction to continue for another 20 years. In all events, the current Israeli government could not even bring itself to a formal freeze because this government, unlike its predecessor, relies on political forces that hold that the mere declaration of a freeze, as fraudulent as it might be, is a moral compromise. Israel, in the opinion of the ultra right, must proclaim its lawful right to expand its settlements, instead of going about this furtively. The debate in Israel has not been about a freeze (since there never was or would be one in effect) but about whether or not to declare a freeze. For the Arab media to play along with this and in turn keep the Arab public focussed on the details of the settlement freeze theme is truly regrettable and disastrous, for it obscures the fact that settlement construction is proceeding full steam ahead, especially in Jerusalem right now, and that the blockade of Gaza remains as tight as ever and is little more than a continuation of the December/January war by other means. Returning to the heart of the matter, the implementation of which clashes with Israel's ambitions, what about the right of return? Above all, we must stress that the right of return does not emanate from an international resolution and that the Palestinian and Arab people are committed to this right, even without a resolution to give it official sanction, though such a resolution exists. It is impossible to obtain the right of return through a settlement with Israel. It can only be realised through an Israeli defeat won in the context of the Arab-Zionist struggle. Therefore, if the Arabs give up the struggle, and even the strategy of struggle, then they are effectively relinquishing the right to return. Even if the Palestine Liberation Organisation still existed as a militant organisation, and even if the PA was an authority that operated in accordance with the logic of liberation, they could not obtain the right of return over the negotiating table with Israel for the simple reason that Israel regards this right as a negation of itself. Perhaps for this reason, many Arabs have moved away from the rhetoric of winning the right of return through a victory over Israel and to the rhetoric of the refusal to naturalise Palestinian refugees in the context of the negotiating process. Moreover, as things transpired in practice, the rejection of naturalisation more often than not came to mean "No to naturalisation in this country, though if other countries want to give them citizenship that's their business." In fact, the position is a racist one which, like sectarianism and factionalism, flies in the face of affiliation to a single Arab identity. The rejection of the concept of naturalisation in countries that have made peace with Israel without including the principle of the right of return in the peace agreement, and in countries that are counting on an eventual peace agreement in order to recover the lands Israel occupied in 1967 and afterwards, will not bring the right of return. Do these countries think that the matter should be left to the Abbas-Fayyad government? Surely not, since in practical terms the PA relinquished the right of return a long time ago, and even if it hadn't it could not impose it in the context of its relationship with Israel. Then it must be that these countries see the right of return as a matter to be taken up not between themselves and Israel, but rather between the Palestinians residing in these countries and Israel. The only logical outcome would be racist incitement against Palestinian refugees in these countries, which would conform well to the spread of sectarian, provincial and tribal mentalities in the political culture of Arab societies and their ruling regimes. How can the creation of a Palestinian state be a package deal? Here we must clearly enter the Arab/ American realm of imagination, irrespective of what the Israeli position is. In Washington's imagination, the dictates of realism will lead the Arabs to accept a land exchange instead of Israel's return to 1967 borders. It further believes that "creative solutions" for the holy places will solve the problem of Jerusalem without Israel having to withdraw from the Arab side of that city. As for the refugee question, this solves itself automatically through the existence of a state, which will turn the refugees into Palestinian subjects residing abroad and bearing Palestinian passports. Though, according to this pragmatic imagination, many problems will be left pending, the refugees' legal status will have been resolved with no need for the right of return or naturalisation. This is the challenge now. The sordidness that is unfolding in Geneva and New York has avid servants for whom the ends justify the means as never before. These servants like to think of themselves as an integral part of the international order. They are no longer on the outside, like militant revolutionaries. Nor or they on the fringes, like Arafat during the Intifadas and the post-Oslo period. And through their mere membership in the international order, they imagine, they will succeed in his quest for a state. Here we find the source of the disdain for what liberation movements generally regard as the heart of their mission, such as mobilising the world against the crimes of foreign occupation in the hope of restraining the hand of the occupier at the very least. Here, too, we find motive for abandoning the very idea of conflict with the colonialist state. They regard themselves as hypothetical peers of that state, which entitles them to use the same terms and the same pragmatic language, and to belittle calls for justice and respect for human rights, as they did so flagrantly in the vote on the Goldstone Report in Geneva. They are financially corrupt, they coordinate with the occupation power over security, they set up a repressive governing entity with a militia to beat the very notion of "solidarity" out of people's heads, and they take part in a cruel economic blockade against a huge portion of their fellow Palestinians. They are, indeed, acting in the very nature and spirit of an international order that lies about war crimes. There is no use even trying to get through to people like that because they will tell you that they were there and they see themselves as having matured and they see you as naïve. They belong to a generation that had a liberation movement, but they infected it with their own decay before it could lead to a state. In this they have proven unrivalled. An excellent article by Saleh Al-Naami in Al Ahram. Al Ahram, under Nasser and its editor Mohammed Heikel established a reputation second to none in International arena and Arab world. Heikel was a friend of Nasser and today the Egyptian government appoints its editors, but it still retains its semi-independence in large areas of coverage in exchange for not criticising the Egyptian government. Below is an excellent article by Saleh Al-Naami on the war that Israel is waging against the sick and injured in Gaza. A war that the Egyptian government is fully signed up to, alongside the Quisling-in-chief Mahmoud Abbas. Mahmoud Hussein tries to hold back his tears as he looks at his 30-year-old brother Ahmed who suffers from colon cancer. The family is impatiently waiting for the Gaza border to open so Ahmed can travel abroad for treatment, since in light of the Israeli imposed siege, medical facilities in Gaza cannot treat his condition. Ahmed, who lives in Gabalya, north of Gaza, is not the only Palestinian who developed cancer at a relatively young age. According to Palestinian medical sources, the number of patients with cancerous tumours residing in areas that the Israeli army targeted during its war on Gaza is on the rise. As the first anniversary of the war on Gaza approaches, the Palestinians are shocked to discover more of its damaging effects. A Palestinian woman whose house in the district of Al-Shaaf, east of Gaza City was targeted with white phosphorous missiles gave birth to a baby with a deformed heart. Doctors reported another pregnant woman in north Gaza, whose home was attacked with the same chemical agent, gave birth to a baby with the same deformity. The infant's chances of survival are very low because under siege medical services in Gaza are not equipped to treat such cases. The mother told doctors that during the war she inhaled excessive amounts of white phosphorous smoke because of repeated attacks on her area. White phosphorous is a chemical incendiary agent that is highly combustible when mixed with oxygen. It burns through skin, body tissue and bones; the corpses of white phosphorous victims are usually heavily charred. In a report marking the first anniversary of the war, the Dameer Centre for Human Rights reported "high levels of deformed births and miscarriages", and that the use of radioactive and toxic ammunition by the Israeli army on Gaza resulted in significant deterioration in the health of Palestinians. The report was based on a survey that found that health and environmental conditions in the Gaza Strip are worsening by the day as a result of Israel's aggression and border closure by occupying forces for the third consecutive year. Meanwhile, Italian researchers revealed that the soil in Gaza now contains carcinogens and toxins as a result of Israel's use of internationally prohibited weapons during the last war on Gaza. In a news conference in Gaza City, experts said that these toxins and carcinogens are a high risk to unborn children, and called on the Palestinian Health Ministry to test all Palestinians in areas that were bombed during the war. The Italians, who carried out fieldwork in these areas, further warned that many Gazan residents would suffer from chronic gastrointestinal and respiratory illnesses. According to these experts, tests that were carried out inside Gaza indicated that 12 toxins and radioactive materials were released by Israel's abundant use of internationally prohibited weaponry. Such weapons led to the bodies of many victims being mangled. More disturbing facts are being disclosed. Adala Human Rights Centre asserted that the Gaza Strip is now home to the highest number of disabled people in the world. Some four per cent of Palestinians in the Gaza Strip, or 70,000 residents, have some form of disability. Their suffering is compounded further by Israel's refusal to allow the passage of necessary medication and rehabilitation materials for them. At the same time, Israel prevents any of them from travelling abroad to seek medical help. As Palestinians mark the first anniversary of the war, Israelis are revealing the reasons behind their army's savage treatment of Palestinians during the war. An edict by Chief Military Rabbi Brigadier General Avi Ronzki to Israeli troops on the first anniversary of the war called for no mercy or compassion for Palestinians. The edict, quoted in the Israeli media, stated that, "the goal of the recent war on Gaza aimed to destroy and annihilate the enemy, not to take prisoners." It continued that, "some 80 jets focussed on various targets in Gaza; then the tanks began their assault. We fought the gentiles with all our willpower and force." Oren Yiftahel, political science professor at Ben Gurion University in the Negev, described Israel's atrocities during the war. "It was expected Israeli behaviour and an extension of Zionist policy that believes in the annihilation of the Palestinian people, and erasing their history and existence. 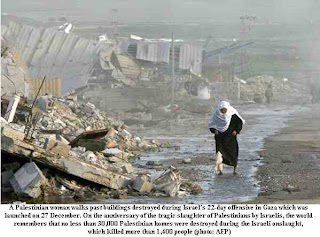 It ignores the legitimate rights of the Palestinian people, which they are entitled to, and not out of Israeli charity." Yiftahel argued in an article in Haaretz newspaper that, "Israel's invasion of Gaza was not purely a military operation to end missile attacks, or an attempt to restore Israel's deterrence capability or even an effort to impose order on others and oust the elected Hamas government. The war was a continuation of a long-standing strategy to deny, erase and eliminate any historic reference to the Palestinians and their existence." He further accused all Israelis of participating in the hostile plot against the Palestinians, noting that Israeli politicians, artists, the media, university researchers and intellectuals supported this war with enthusiasm. Yiftahel asserted that Israel's war on Gaza, and Hamas specifically, came in reaction to Hamas's rise to power that undermined the possibility of reaching a two-state solution. "This solution is ideal for Israel because it would mean Israel could continue its settlement project indefinitely," he stated. According to Yiftahel, the appointment of Ismail Haniyeh, who was born to a refugee family, as prime minister of the Hamas government gave Palestinians another reason to insist on the right of return for Palestinian refugees, which Israel believes is an issue that threatens its very existence. "Instead of confronting reality with all its complications, Israel resorted to state terrorism," wrote Yiftahel. "More bullets, explosives, killing of children and burning down towns will not succeed in silencing history. The time lost to war drums will be restored after they are muted." Israeli historian Tom Segev believes that "one of the main goals of the war on Gaza was to exercise a principle rooted in Zionism, namely the necessity to strike against Palestinians to teach them a lesson. This is one of the main bases of the Zionist project since its inception." Segev explained that the thinking behind this is that "we, the Jews, represent modernisation and civilisation, logic and ethics. The Arabs are primitive savages of irrational violent tendencies, who are ignorant and must be disciplined and educated in the proper ways of thinking with the use of a carrot and stick." Segev continued that Israel believed the war would topple Hamas from power, "out of another Zionist belief, namely the need to impose on the Palestinians a moderate leadership which will concede on national aspirations." Segev described Israel's reasons and goals of the war on Gaza as "revisiting failed beliefs, but Israel continues to rehash them from one war to the next." In fact, Israeli political and military analyst Ofer Shelah was the first to point out that the assault on Gaza marked the birth of "a new defensive doctrine for Israel, namely for Israel to act as a rogue nation in the face of enemies who adopt a strategy of attrition and shelling at a distance." In other words, "to respond to sources of gunfire with a savage and massive military operation, irrespective of the number of casualties in its ranks." These arguments explain the shocking outcome of the war on Gaza. During this war, Israel acted on a clear security principle of settling confrontation with the Palestinian people regardless of losses in civilian ranks. If you want to know what the obstacles are to both Palestinian and Arab national and social liberation, then the vile regime of Mubarak in Egypt is as good an example as it gets. It is a vicious dictatorship, the second largest recipient of US aid (after Israel) and it has of course made ‘peace’ with Israel. A peace that means it is a co-partner in the starvation siege and blockade of Gaza. As will also be noticed, none are more silent than the quisling regime of Mahmoud Abbas in Ramallah. And why not? His regime, if it can be so dignified, is equally desiring of removing Hamas from Gaza and imposing its own dictatorship there, as it has done on the West Bank. The Mubarak regime is therefore preventing the Viva Palestina from sailing from the Jordanian port of Aqaba to Egypt with the excuse that they have to sail to El Arish and then head to El Arish and from there drive to Gaza. Mubarak, in all his colours, is a good example of the typical Arab leader, a collaborator to his roots. It is the tragedy of the Palestinian leadership that they have sought to work these creatures and in turn have been bought off. The Egyptian government has denied entry to the Viva Palestina Aid Convoy carrying medical and humanitarian aid to Gaza. Hundreds of tonnes of aid, including specialised medical equipment and powdered milk for babies, is now stockpiled in the Jordanian port town of Aqaba waiting for permission to enter Egypt via the Straits of Aqaba. The international convoy of approximately 150 vehicles and more than 400 people from 17 countries was given the news by the Egyptian Consulate in Aqaba late on Christmas Eve. The convoy, jointly organised by the Palestine Solidarity Campaign in the UK, left London on 6th December. It has enjoyed safe passage through Europe, Turkey, Syria and Jordan on its way to Gaza. It hopes to enter Gaza and break Israel's three and a half year illegal blockade of the Strip via the Rafah border crossing with Egypt on 27th December. The date marks the first anniversary of the beginning of Israel's three week land, air and sea assault on Gaza, which killed more than 1400 Palestinians. 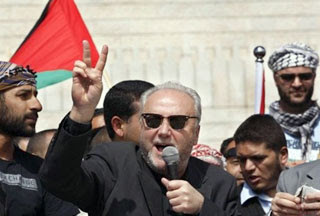 British Lawmaker George Galloway has appealed to Cairo to allow the Viva Palestina humanitarian aid convoy he is accompanying to enter the blockaded Gaza Strip. The call comes as activists on Viva Palestina faced problems as the convoy was making its way to the Jordanian capital, Amman. The aid shipment, which originally departed from London on December 3 with the aim of breaking the months-long Israeli siege on Gaza, was prevented by Jordanian police from entering Amman, where it was scheduled to hold rallies. Instead, dozens of the convoy's vehicles formed a rolling road block on the main highway to the city and shut down traffic in a move the organizers called a peaceful protest. After an hour of grid blocked traffic, the police had to back off and promise to allow the pro-Gazan team into the capital city amid unexpected gestures of support from Jordanian drivers stuck in the traffic jam. 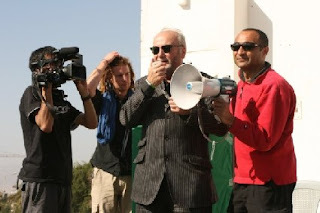 In Amman, the founder of Viva Palestina George Galloway thanked Jordanian authorities for finally facilitating the convoy's entry into Amman and appealed to the Egyptian President Hosni Mubarak to also open the way for Viva Palestina. "I ask him on behalf of our convoy, on behalf of all the people around the world, whose hearts are bleeding, whose eyes are weeping for Palestine to please open your gates for us and allow us to proceed through the gates of Rafah to besieged Palestine," he urged. The convoy is scheduled to spend two days in Jordan before moving to the Red Sea port of Aqaba where it hopes to take a ferry into Egypt, hopefully, crossing into Gaza. If nothing intercedes, Viva Palestina is to cross into Gaza on December 27 to mark the first anniversary of the Israeli offensive against the blockaded enclave, but this will not happen if authorities in Cairo refuse to allow the convoy ashore. 450 activists, including 30 Americans, 150 Turks and a number of Europeans are accompanying the convoy. Thank you for the article about the children in Gaza. I am sorry, however, that, along with the rest of the UK national media, you have given no coverage to the convoy of about 80 UK vehicles that is currently travelling across Turkey, along with over 100 other vehicles, to take humanitarian goods to the people of Gaza. 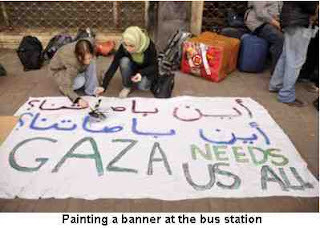 I have helped to raise funds for the York ambulance and, as a retired teacher, I have made sure that as well as medical supplies the ambulance has paper, pencils and crayons for the children of Gaza to help them express their feelings, so well explained in your article. For many years I worked with refugee children in east London and now I support asylum seeking families in Yorkshire. These children in the UK are often traumatised enough. How much worse for the children in Gaza? On December 27 th , the 1st anniversary of the attacks on Gaza, a Humanitarian Delegation from Ireland will attempt to cross through the Rafah Border and deliver humanitarian aid to the stricken region. See a Youtube video of the Appeal to the Egyptian authorities to let the convoy proceed. A massive mobilization between December 27, 2009 and January 1, 2010 with candlelight vigils, concerts, marches, demonstrations, art installations and movie screenings will assemble all over the world to send a clear message to world leaders: end the siege on Gaza. To tackle the blockade against Gaza, grassroots activists are moving quickly and acting in unison for an absolutely crucial time. Dec. 27 will mark one year since the Israeli attack and invasion of the Gaza Strip. Although the Israeli tanks have left, the complete closure of the borders continues. In order to unite the public to influence public leaders behind the Gaza Freedom March goals, solidarity action organizers harnessed the power of the internet to coordinate a global week of actions. There will be actions at many places around the world: France, United Kingdom, Turkey, Ireland, Germany, Spain, United States, Afghanistan, Australia, Belgium, Switzerland, Sweden, Jordan, Canada, Israel/Palestine, Poland, Denmark, and Greece. 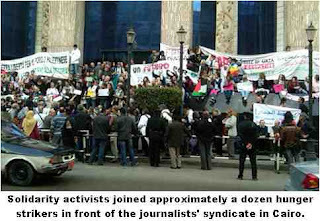 On December 31, 2009, more than 1,400 citizens from across the world will travel to Cairo to join the Gaza Freedom March. This historic non-violent action has been organized by The International Coalition to End the Illegal Siege of Gaza. Its objective is to draw international attention to the siege and blockade of Gaza which are illegal under international law. According to the United Nations, the most recent invasion left 1,400 Palestinian civilians dead, thousands injured and hundreds of thousands homeless, many of whom still live in tents. Many more are living in the ruins of their houses or with relatives. It is now one year later, and no progress has been made. In fact the situation is more dire than ever. Hospitals lack many medicines and supplies to provide even routine medical care. Building materials so desperately needed after the last winter’s invasion by Israel are not permitted into Gaza. Israel’s blockade of Gaza is a flagrant violation of international law that has led to mass suffering. The U.S., Egypt and the rest of the international community are complicit. The law is clear. The conscience of humankind is shocked. Yet, the siege of Gaza continues. Here is a story to warm the cockles of your heart. Co-operation between the Palestinian Authority security services and Israel has never been better. So pleased is Israel at the work of the PA’s security that it has allowed them to continue working overnight!! On Thursday a racist settler Rabbi Meir Avshalom Hai was killed by Palestinians. The PA has moved into action, arresting no less than 150 Palestinians, no doubt many of them have been tortured at Israel’s behest. But as the PA spokesperson explained, security ‘is nearly perfect in the West Bank’. Nearly perfect that is for the settlers. Violence against Palestinians by settlers has never diminished nor have the attacks of the Israeli army. And it is this, openly collaborationist Palestinian Authority, the bitter fruit of Oslo, which the Socialist Action faction in Palestine Solidarity Campaign is desperate to defend. Below is an article from the right-wing Israeli daily, Yediot Aharanot. The Palestinian Authority has detained for questioning dozens of Palestinian West Bank residents in the case of the shooting attack that killed Meir Avshalom Hai on Thursday. A Palestinian security source told Ynet Friday that many of the detainees being interrogated by Palestinian forces are car thieves, as the PA was attempting to locate the person or persons who sold the shooters the car used to commit the attack. Israel has permitted the Palestinian forces deployed in the area of Nablus to continue their activity beyond regular hours in order to allow them to continue their search unhindered. Under normal circumstances, PA security forces work until the early evening hours. The Palestinian source said the authority was taking the inquest in the case of the attack very seriously, especially in light of an announcement by Hamas' military wing demanding the renewal of terror attacks against Israeli targets in the West Bank. "As far as we're concerned this is an event that takes first priority, and the investigation will affect the prevention of future incidents," said the source. He refused to comment on whether the culprits were members of Hamas. 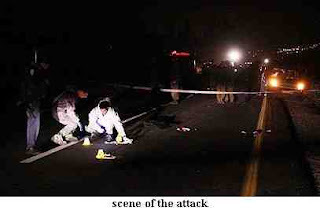 The source added that the PA was skeptical regarding announcements by al-Aqsa Martyrs' Brigades, Fatah's military wing, and the Islamic Jihad's military wing, al-Quds Brigades, both of which claim responsibility for the attack. "We are focusing on intelligence for now, in order to get to anyone who can provide information on the vehicle trade and especially stolen vehicles," he said. "This was probably the result of cooperation between criminal elements and elements interested in destabilizing security, which is nearly perfect in the West Bank."